ICON : The utterly badass Kris Kristofferson plays an intimate, solo acoustic concert of both classic hits and new music at the Cohan Center on Oct. 17. “I thought Janis Joplin sang that song,” my friend said. “Those sound old. I don’t think I’ve seen any of those,” replied my friend. “Oh, the old grey-haired guy who looks like Nick Nolte?” she asked, the light bulb finally lighting. Oh, how the mighty have fallen! Here’s a three-time Grammy winner, a Rhodes Scholar, a former military helicopter pilot who turned down a teaching job at West Point, instead taking a janitor’s job at Columbia Records as a way to get his foot in the door, and the younger generation is clueless. I mean, come on! The man’s a real iconoclast, and yet today’s generation knows him as “the old grey-haired guy” from Blade. Sad! 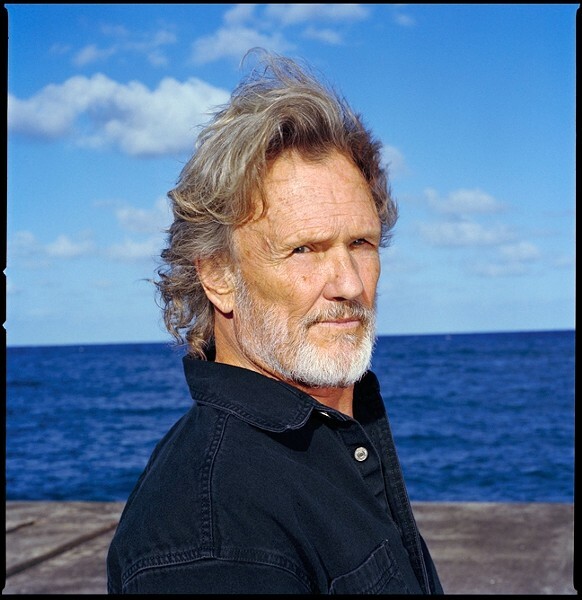 This Friday, Oct. 17, Kris Kristofferson will play an intimate, solo acoustic concert of both classic hits and new music at 8 p.m. in the Cohan Center. His latest album, This Old Road, offers beautifully sparse compositions that put emphasis on his intelligent lyrics and distinctive voice (okay, “distinctive” may be overly kind; his voice is a bit scraggly—think of it as a well-worn but comfortable pair of work boots). During the concert, it’ll just be that road-weary voice, his guitar, and his harmonica. There are still good seats left to experience this American classic. Tickets cost $42 and $48, with students discounts available. Buy them at the PAC Ticket Office or by calling 756-2787. I’m very angry that Downtown Brew decided to bring The Devil Makes Three back at the same time Kris Kristofferson is playing the PAC. It’s just plain cruel to make me choose between an American icon and this up and coming alternative country-blues-swing-ragtime-rockabilly act, whose eponymous 2002 debut CD is still one of my favorites of all time. DEVIL MUSIC! : Alternative country-blues-swing-ragtime-rockabilly act The Devil Makes Three returns to Downtown Brew on Oct. 17.
band that, I’m excited to announce, has a new live album (A Little Bit Faster and a Little Bit Worse) and another studio full-length (Longjohns, Boots, and a Belt). This band has become a DTB favorite, so you’ll probably want to score tickets right freaking now! Run like the wind! The Friday, Oct. 17, 8 p.m., 21-and-older show costs $12 in advance (at the venue and Boo Boo Records), or $13 at the door. standards won the 2008 Juno Award (Canada’s version of a Grammy) for Vocal Jazz Album of the Year for her 2006 release. “Fever,” “It Might As Well Be Spring,” and “People Will Say We’re In Love” are just a few of the classic tracks done justice by the lilting and romantic voice of this 24-year-old. Buy $34 tickets at the PAC Ticket Office or call 756-2787. If you prefer your music sung by a soulful, skinny, cigarette-smoking rock star-in-the-making, check out Jackie Greene at Downtown Brew on Thursday, Oct. 16 when he plays a 7:30 p.m., 21-and-older show. Presale tickets cost $15 at the venue or Boo Boo Records, or pay $17 at the door. Some of you may remember him as part of Skinny Singers, a side project for Tim Bluhm of Mother Hips. This time Greene returns with his own band, and local fave Dan Curcio of Still Time will be opening with a soul-drenched solo acoustic set. Extra awesome! Greene also plays a 4:30 p.m. in-store show at Boo Boo Records. Guitarist and songwriter Aaron Bowen’s style blends timeless acoustic hand-me-down traditions with popular contemporary sensibilities. He likes to describe them in terms of weather: “A rainy Seattle morning, a blistering midday in western Texas or a lazy Parisian spring afternoon.” Derek Evans’ music features social commentary that “summons the ghosts of our most well-known troubadours.” Aaron Bowen and Derek Evans play Cal Poly’s Backstage Pizza on Friday, Oct. 17 at 8 p.m. Bowen also plays a 5:30 p.m. Boo Boo Records in-store show on Thursday, Oct. 16, and Evans does the same on Friday, Oct. 17. City Nights Jazz presents NYC vocalist/trombonist Elizabeth! (one name, like Madonna, exclamation mark like an excited junior high cheerleader texting her friends!) 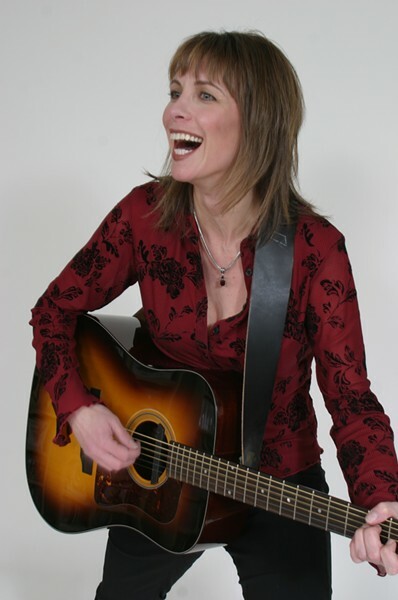 She performs with the Mike Raynor Group on Friday, Oct. 17 at the Inn at Morro Bay from 7:30 to 10:30 p.m. during a free concert. Elizabeth! is one of the most in-demand bandleaders and side musicians in New York. Her working band performs her sultry arrangements of jazz standards, as well as her catchy original tunes, and her new recording, Hot & Silver, shows off her beautiful phrasing and sensitivity. She also busts out the dance moves while playing! MEAN GREENE : Killer Americana rock singer-songwriter Jackie Greene returns to Downtown Brew on Oct. 16. Local band Each Passing Day hosts a killer triple-bill concert this Friday, Oct. 17, at 7 p.m. at Shepherd’s Table in Grover Beach. Julie Christensen (formerly Leonard Cohen’s back-up singer) leads her trio in the opening set, followed by Bay Area singer-songwriter Amy Meyers, with Each Passing Day headlining the event. A $10 donation is requested and all ages are welcome. Christensen was a featured member of the “Came So Far for Beauty” concerts (on which the 2005 documentary film Leonard Cohen: I’m Your Man was partly based). She dueted with Lou Reed in Dublin, Ireland, and Santa Barbara last year on Cohen’s “Joan of Arc.” She’s has also sung with Iggy Pop, Todd Rundgren, John Doe, and Exene Cervenka. Meyers is a Bay Area music veteran who’s released six CDs of original music and one children’s CD. Each Passing Day is a trio fronted by Loren Radis. Coalesce Bookstore in Morro Bay is hosting two superb female vocalists this Saturday, Oct. 18, when Amanda West and Ariel Thiermann 2 p.m. matinee concert during a fundraiser for The Gold Coast Center for Spiritual Enlightenment in Cambria (donate as much as you can afford!). Amanda West will appeal to listeners who enjoy the brooding sounds of Tori Amos, Enya, Sarah McLachlan, and Alanis Morrisette. Singer-songwriter Ariel Thiermann is a teacher whose work is rooted in the ancient art of song making, vocal improvisation, and story telling. Call 772-2880 for more info. California singer-songwriter Rita Hoskings plays the next M?sica Del RÃo House Concert in Atascadero on Saturday, Oct. 18, at 7:30 p.m. According to press materials, “Rita’s musical experience began as a child at church, and under the wings of an old time jug band made up of seasoned mountain characters. On an old Gibson guitar her friends bought for her, she began composing songs at age 20. With a bluegrass lilt, along with a soulful view of mountain life, Rita paints a picture likely to be understood and appreciated by all of us.” Reservations are required. Call 466-6941 or visit musicadelrio.org. The cost is $15. “In a break from our traditional style concerts, The Painted Sky Concert series is pleased to present a unique one-man show with Jazz bassist extraordinaire Roberto Miranda,” wrote venue owner Steve Crimmel. The bassist, know for his dynamic high-energy improvisations, plays Saturday, Oct. 18 at 8 p.m. He has toured, played, and recorded with the likes of Shelly Manne, Kenny Burrell, Horace Tapscott, Bobby Bradford, John Carter, David Murray, Cecil Taylor, Charles Lloyd, and Bobby Hutcherson. Tickets cost $12, ($10 for students) and are available at Boo Boo Records, Cambria Business Center, or by calling 927-8330. After a spectacular concert tour of South Korea in August, the SLO Wind Orchestra is back with a new season opener on Sunday, Oct. 19, at 3 p.m., in Morro Bay’s St. Timothy’s Church. The program, under the baton of Bill Johnson, includes the following: Centennial Fanfare March by Roger Nixon, October by Eric Whitacre, Vesuvious by Frank Ticheli, Calafia Overture by David Rackley, Fanfare for the Common Man by Aaron Copland, Hands Across the Sea by John Philip Sousa, Divertimento for Band by Vincent Persichetti, Bugler’s Holiday by Leroy Anderson, Variation on “America” by Charles Ives, and “Paradiso” from Symphony No. 1: “The Divine Comedy” by Robert Smith. Whew! All that for just $15 ($10 for students and seniors; free for children 8 and younger). BAY AREA BUSKER : Amy Meyers (pictured) plays a three-act show with Julie Christensen and Each Passing Day on Oct. 17 at Shepherd's Table in Grover Beach. The Central Coast Scottish Society has a great duo hailing from Perthshire, Scotland—Sara Grey and Kieron Means—performing Sunday, Oct. 19, at 7 p.m. in the Red Barn in Los Osos. The duo’s playing bridges the sounds of Scotland, Ireland, and North America, and they’re also ready to intersperse their music with richly told stories. There’s a 6 p.m. potluck, and pipe major Paul Dunn and Friends, as well as the Foster Evans Lads, will kick off the evening with a wee bit o’ bagpipes. The cost is $10, and beer, wine, and refreshments will be available for purchase. I don’t know much about hip-hop/comedy DJ MC Chris, who’s doing whatever MCs do at Downtown Brew on Sunday, Oct. 19, for a 7:30 p.m., 16-and-older show (presale tickets cost $12), but I totally dig the new record by his supporting act Totally Michael, a 20-year-old singer whose new self-titled CD had me bouncing in my seat. It’s ; like ; totally ; AWESOME! I’m talking spring-loaded pop hooks á la Blink-182. He knocks out these bubbling songs armed with nothing more than an electric guitar, iPod, and microphone. He’s tight like Spandex, children! Me likey! Add a bit of Foo Fighters, some Mighty Mighty Bosstones, and some Screw 32 and what do you get? Jackson United, playing Downtown Brew on Tuesday, Oct. 21 during an 8 p.m., all ages, $8 show. The band was formed by Foo Fighters and Me First and The Gimme Gimme’s guitarist Chris Shiflett, and features guitarist Doug Sangalang (formerly of Screw 32 and Limp). Chris’ older brother, bassist Scott Shiflett (Face to Face and Mighty Mighty Bosstones), and drummer Joe Sirois round out the act. GET SPIRITUAL : Coalesce Bookstore in Morro Bay hosts Ariel Thiermann (pictured) and Amanda West during an Oct. 18 fundraiser for The Gold Coast Center for Spiritual Enlightenment in Cambria. Joy Mills, lead singer and songwriter for Seattle Americana roots outfit, The Starlings, wrote to tell me about her upcoming show at The Frog and Peach this Wednesday, Oct. 22. “This is part of our six-month national tour in support of our new album, Marveling the While (which debuted at number 8 on the Euro-Americana charts for April, and just finished its 17th week on the Roots Music Report Charts).” Led by the harmonies and songwriting of Mills and Tom Parker, expect to hear songs both wistful and fierce, haunting and soothing, inspired by the classics of country, folk, and Appalachia. Just a quick heads up that Downtown Brew has Carney booked for next Thursday, Oct. 23 for an 18-and-older, 8 p.m., $5 show. They mix rock, blues, and French rock (which is like American rock but it wears a beret and smokes harsh cigarettes). Go buy some tickets! Go on. Run along. With the shaking chains and hallowed vocals on album opener “The Dazzled,” you’d think Brooklyn’s Crystal Stilts are jangling out lo-fi rock’n’roll for a crew of pompadour ghosts. It swaggers with the greased cool of ’60s Mods and is heavily indebted to their brand of freakbeat R&B and sonic experimentation. Crystal Stilts tune their spectral radios into the sound of rock’s distorted and fuzzed-out past, reviving it with glorious effect. 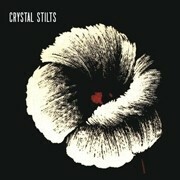 “Crystal Stilts,” their self-titled track, rumbles with adrenaline-filled surf influences: reverb-saturated twang of the electric guitar double-picked with frenzy and the spooky synth of organs gone wild. They owe as much to Phil Spector’s sense kaleidoscope noise-drenched pop (“Prismatic Room”) to the brooding languid vocals and ominous drive of Joy Division (“Departure”). Everything slows to an ethereal haze by closer “The City In The Sea,” a shoe-gazing dirge that sounds like a phantom’s Sunday daydream. Chrissie Hynde could easily hang it all up and live on her legacy, knowing there’s a wall in the Rock Hall of Fame reserved for her Pretenders. But on her first album since 2002’s Loose Screw, she sounds completely reinvigorated, fueled by a whole new set of backing boys. With the inclusion of the Pernice Brothers guitarist, James Walbourne, and ex-Son Volt pedal steel player, Eric Heywood, there’s an undercurrent emphasis on their brand of alt.country that sizzles in the rave-ups (“Don’t Cut Your Hair”) and dusts the ballads (“One Thing Never Changed”) on Break Up The Concrete. But the star is still Hynde, and she’s gifted with a voice that seems to have not aged a bit. 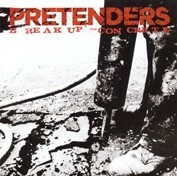 Opening the album with the fierce-paced rockabilly-steamed “Boots of Chinese Plastic” and finding her inner Bo Diddley boogie on “Breaking Up The Concrete,” this is the enlivened Pretenders that erupts from her greatest hits collection, and it’s welcome to hear its confident return. Glen Starkey likes French stuff—fries, dressing, kissing. Blow him your best French kiss at gstarkey@newtimesslo.com.